He also alleged that Modi government did not give a single paisa for Mission Bhagiratha and Mission Kakatiya schemes. RAJANNA-SIRCILLA: Telangana Rashtra Samithi leader and IT Minister KT Rama Rao ridiculed BJP president Amit Shah for saying that they will come to power in Telangana like they did in other States. The TRS leader went to the extent of saying said that BJP will not win more than five seats in Telangana. 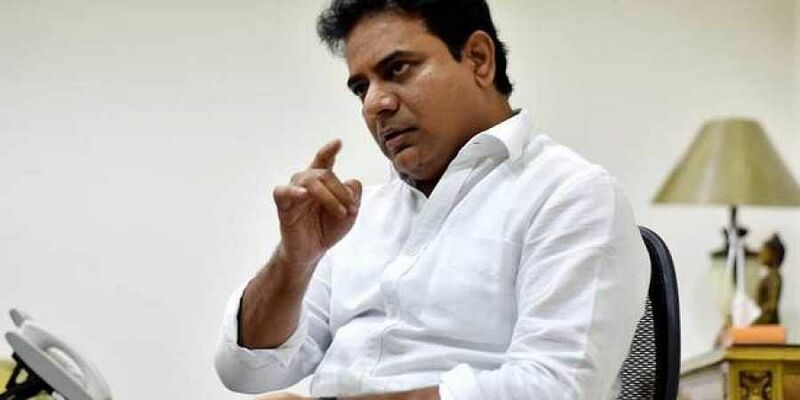 A day after BJP ‘Samarabheri’ meeting in Karimnagar where Amit Shah criticised the TRS government, KT Rama Rao launched a scathing counter-attack on BJP while speaking to the media, along with MLA Ch Ramesh Babu, at Vemulawada temple town on Thursday. He also alleged that Modi government did not give a single paisa for Mission Bhagiratha and Mission Kakatiya schemes. As per AP re-organization Act no benefits were given which were due for Telangana, he said. “The Centre bowed to pressure from AP CM Naidu by merging seven mandals, belonging to Telangana, with Andhra Pradesh,” he said.